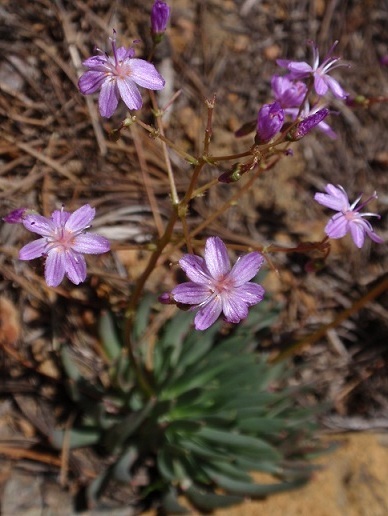 The Quill-Leafed Lewisia brings cheer to the rocky slopes it inhabits from the Siskiyou Mountains of Oregon and the Sierra Nevada range in California (USDA 4-8). The small leaves are thick, fleshy and slightly waxy. They curl downwards like a hand grasping the rocks while the flower stalks extend upwards, the tiny, bright pink flowers held high. It requires excellent drainage and acidic soil. 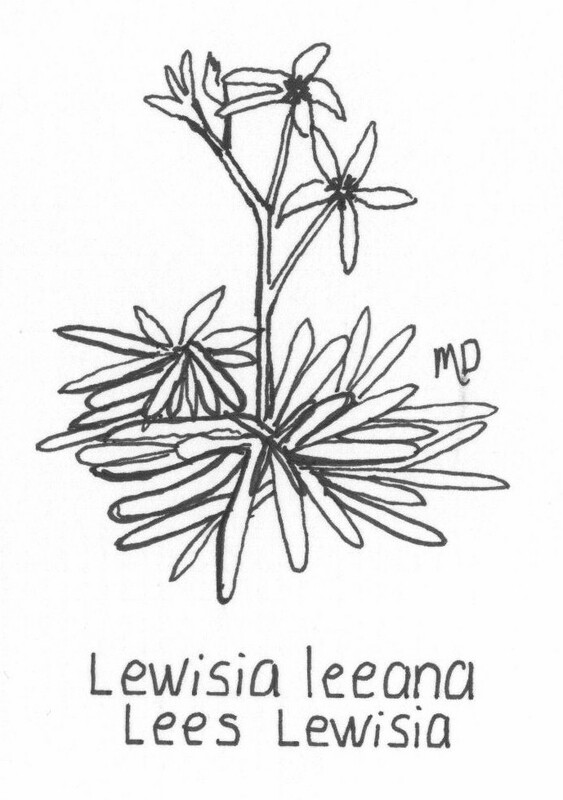 All Lewisias are ideal species for outdoor terracotta pots where they can be moved under an awning or roof overhang in the fall and winter when excessive rains can cause them to rot. Do not bring them indoors though – they need the cold weather in order to bloom. This plant is considered to be very rare and efforts are being made to protect it.